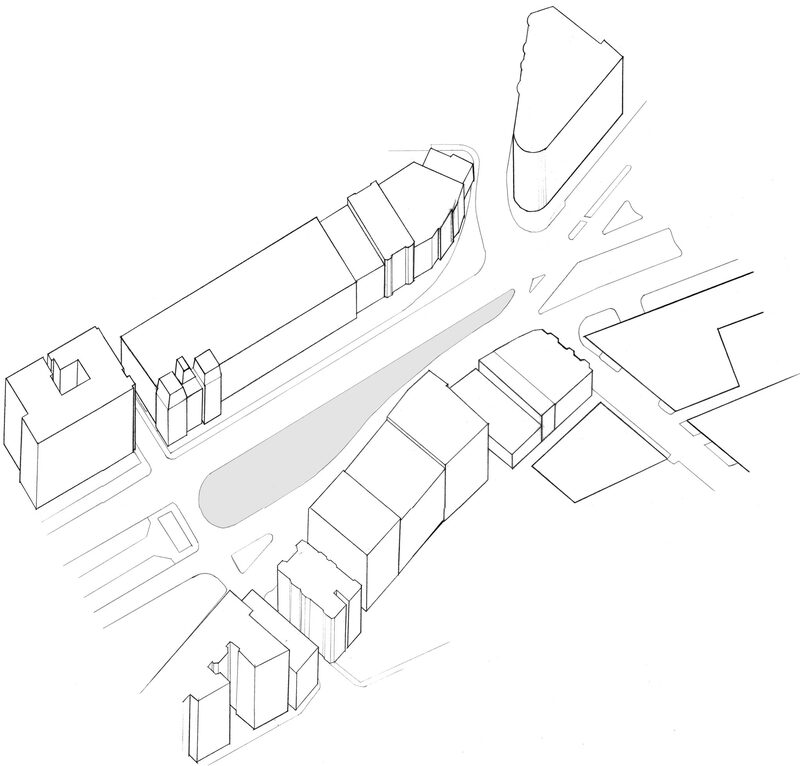 This project creates a cultural and community hub while preserving the subway stop that occupied the site. The design included an outdoor theater, a film archive, an indoor theater, offices, and a special collection section that housed rare films. Kenmore Square in Boston consists of the intersection of several main avenues and cross streets. Located in Downtown Boston near Fenway Park, the narrow island that lives on Commonwealth Avenue is currently home to a bustling bus and subway stop. Since the surrounding area is mostly commercial, this design created pathways, both visual and physical, that fostered community and encouraged connections among shops and other social entities. 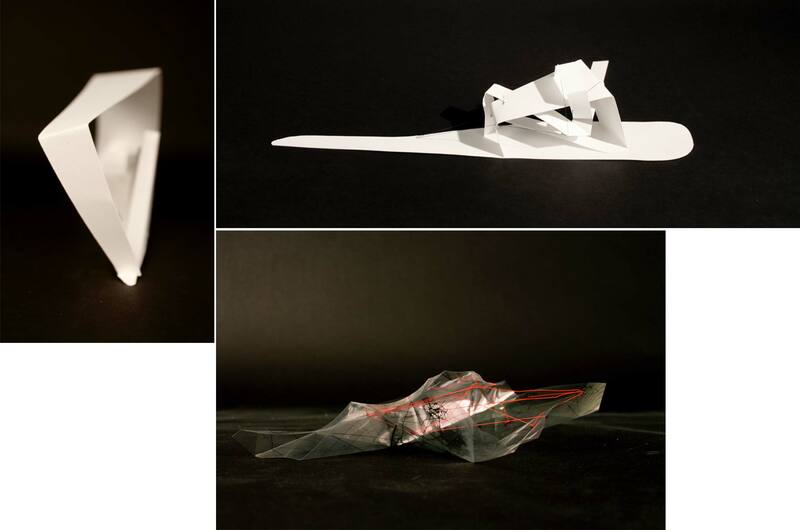 Starting with study models and diagrams that explored the connections that can be made both abstractly and concretely, the final design offered an outdoor viewing area that engaged the subway exit, a cafe whose stairs extended across the street, and an indoor browsing and viewing area.